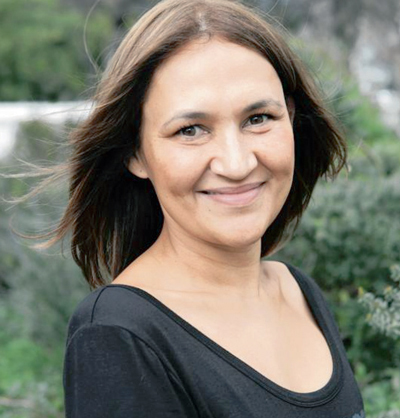 One of the few women, and probably the only woman of colour, who photographed the Struggle years on the Cape Flats, Zubeida Vallie’s images capture the violence of the times, but also the ‘other stuff’ beyond the headlines. View more work by Zubeiba Vallie on the Digital Collections website. Dr Siona O'Connell lectures in Visual and Art History and has curated several high-profile exhibitions. Her work around archives and curation seeks to shift frames from aesthetics to restorative justice to open up questions around representation, freedom, trauma and memory in the aftermath of oppression. She was a Trilateral Reconnections Project Fellow at Brown University in the US and is a BIARI (Brown International Advanced Research Institutes) alumnus. I first met Zubeida Vallie when I curated an exhibition called Martyrs Saints & Sellouts at the Iziko Castle of Good Hope and the National Arts Festival (2013), which showcased the work of three anti-apartheid photographers: Benny Gool, Adil Bradlow and Vallie. From the early 1980s, these young photographers and friends were to be found with their cameras documenting apartheid South Africa, dodging security police, taking part in protests and being detained on several occasions. Their impressive collections show us now, some nineteen years after the first democratic elections in South Africa, a vivid narrative of violence, loss and injuries, the reverberations of which are subdued in the rhetoric of the post-apartheid landscape. Coming through UCT and being exposed to questions of struggle photography and anti-apartheid imagery, there were always the same names that came up, many of whom are white men – the Bang Bang Club and others. As a researcher, I am intrigued by the way certain narratives are absent from the writing of history. Just as the Struggle against apartheid has been formulated in a certain way, so has the photographic archive been shaped in a particular way. I walk around UCT, and I look for apartheid imagery and I don’t see it. I don’t see Zubeida’s story. And I don’t see Benny’s story. So what does that say then about UCT as a place, when it ignores certain histories and heritage? This is why I think it is so important that Humanitec has recognised Zubeida’s contribution with the digitisation of her photographic archive. 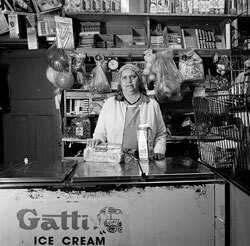 Zubeida Vallie was one of the few women and probably the only black woman photographing in the Cape Flats. She brings an enormous sensitivity to her photographs – a particular appreciation of light and composition. While her photographs do document the flames and the violence of struggle, she also picks up on the subtleties and nuances of the Struggle that we really don’t remember. But she was photographing from the perspective of a woman from a background of forced removals. Forcibly removed from Newlands, and shunted off to Athlone, her family got broken up. And you can see how she navigates this area of hers through her photographs. Do women photograph differently? I don’t know if we’ve even begun to have that conversation in South Africa, because the field really has been dominated by certain men. As mentioned, I first came across Zubeida’s work when I went to speak to the photographer Benny Gool about his enormous archive of hundreds and thousands of negatives, and he put me onto her and Adil Bradlow. 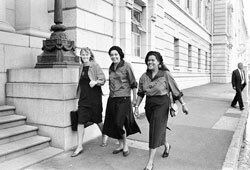 The three of them, together with other photographers, including Rashid Lombard, used to work together in the areas – the Cape Flats – and were deeply invested in the Struggle. I think of them more as friends, than – to use that clichéd term – ‘comrades’. When I look at the nicknames they had for each other and how they had each other’s backs, I realise that there was something that bound them. This was not just about getting a picture out to get it sold to a news agency – which is another conversation, because most of the news agencies funded the white photographers. That’s a conversation that nobody in the Bang Bang Club even wants to begin to take up. As a result, there is still a lot of festering resentment between photographers who were active during those years. The four of them also shot further afield, but if I look at Benny and Zubeida’s work, it is concentrated in Cape Town and it speaks about the ordinary struggle – the contribution of men and women, grandparents, kids, whose stories have now disappeared into the grey tones of the news photograph. We don’t really know them – in much the same way that people like Zubeida and Benny have somehow disappeared [from the public record]. I don’t know when they were last invited to be part of a major apartheid imagery show. So, after two years of conversations with them, I started looking at their images and I was drawn in by how different their stories are. Who they are shapes their images and the stories that they want to tell. As a researcher and curator, I use all the projects that I curate as teaching tools. I could only include a handful of Zubeida’s images in the Martyrs, Saints & Sellouts show. But now 150 images have been digitised, so students interested in questions of gender, photography, history, landscape, archive can access Zubeida’s archive online. And students want to be able to access things on the Internet. So as a teaching tool, this digitisation project is crucial. In a much larger frame, it is also crucial that we start or continue the conversation about different histories and narratives of what it meant to fight for freedom. When we were looking through her photographs, I asked Zubeida what the 1970s and 80s were about for her. And she said, ‘That was a fight for freedom.’ And I said, ‘Well, what about the political landscape now, if we look at the protest struggles of the present?’ And she said: ‘That’s about lost dreams, lost possibilities.’ So these photographs shed a light on the present, and start to make us rethink freedom in fundamentally different ways. Zubeida and I have been in close consultation over the selection of images for digitisation. This has been a two-year project of phone calls four or five times a week – getting to know Zubeida and of her getting to know me. So often, as scholars in the safety of the university, we use our subjects of research as research fodder. I needed to invest my histories and my struggles and my frailties just as much as she did with me. So it has been a wonderful journey in which we came to mirror each other’s experiences as black women, but through the medium of the photograph. When you’re digitising negatives, trying to shape a visual archive, often you go for the image that is beautifully composed – that ticks all the boxes – and then you discard those negatives that happen on either side of those moments. That’s when you write out parts of history, so when I look at an archive, I try to look at it in its entirety. In Zubeida’s case, that has meant going through 40 000 negatives to make my choices. Often the images we’ve selected will show incidental elements that don’t appear in the next frame – a head or a hand. To give people that sense that history is not always what you think it is. There’s other stuff. Local Corner Shop: Habeba Adam Rawoot (nee Bandeker), has an interest in gardening and would like to travel. She has been married for 23 years, and has two sons and a daughter. She has been working at the 6th Avenue, Belgravia Shop, a family business, for 23 years. Before this she worked for ten years in her parent’s shop in Black River (now Sybrand Park). One of her pleasures in life is to be able to care for her father-in-law. 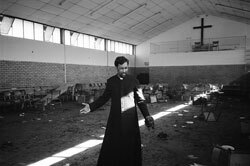 Father PJ Pearson in the church hall where the congregation were tear-gassed and attacked by police after the funerals of ANC members Robbie Waterwitch and Coline Williams. View more work by Zubeiba Vallie on the Digital Collections website.